With an average of 300 days of sunshine, what better spot to put a solar powered, geothermal housing development than Salt Lake City, Utah? 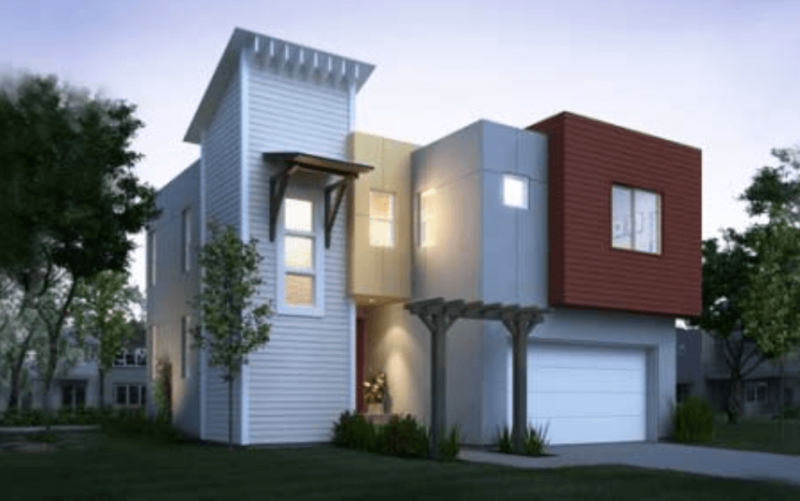 KTGY architectural and planning firm and Garbett Homes agreed, and built the aptly named Terra Sol, an eco-friendly urban fill development close to downtown Salt Lake. Targeting first time buyers and empty nesters, the homes feature energy efficient design which, according to Garbett Homes, makes it the greenest residential community in the state. To explain to buyers what makes these homes so sustainable, Garbett Homes set up a demonstration home that peels back the walls to literally show what’s behind the scenes. Walking through the demo home, you can see the standard features; spray foam and blown-in insulation, low-e windows, CFL lighting, solar panels, solar hot water, geothermal heating and cooling, and bio-based resource efficient engineered wood. The three bedroom, two bathroom homes are selling from the low 200,000s, while also qualifying for up to $8,000 in federal and state tax credits. While not reporting any LEED certification, the Terra Sol homes scored 37 on the Home Energy Rating System (HERS), which means they are 60% more energy efficient than a standard new home of the same size.